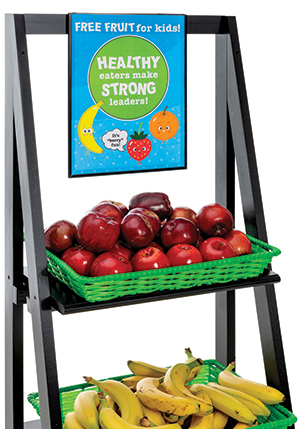 The wet erase markers are perfect for writing sales advertisements or daily specials signage. Use the markers to safely mark on windows, labels, tags and other non-porous materials. 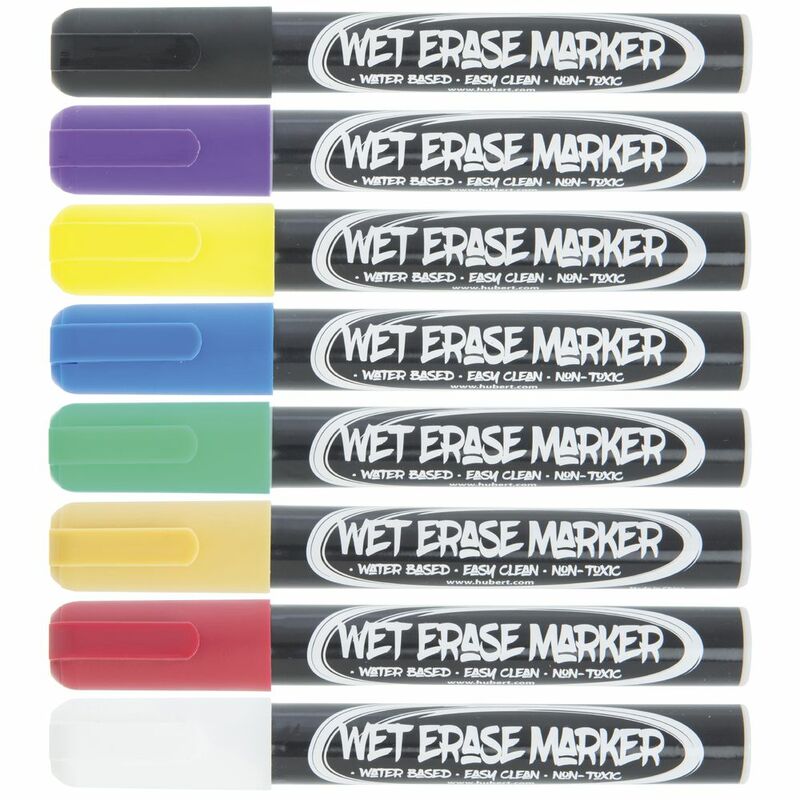 Our wet erase markers are easy to clean - simply wipe off with a damp cloth. The non-toxic water based ink is odorless and lead free for safe handling. Each wet erase marker has a medium point tip and include one of each color: dark blue, dark yellow, bright purple, dark green, red, black, white and bright yellow. HUBERT® microfiber scrubbing cloth is a dual sided cleaning tool that allows you to clean without harsh chemicals. One side is traditional microfiber which is great for drying, polishing or general cleaning. The other side is a scrubber that allows you to remove tough build-up easily. Microfiber scrubbing cloth is 12 x 12 (L x W) and is launderable.